The biggest trend in Lake Tahoe vacationing is private home rentals, and we have some great choices for your Lake Tahoe vacation rental! 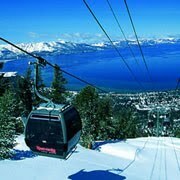 All are near the beach, near the slopes and near all of the great recreational opportunities, Lake Tahoe is famous for. Visiting Lake Tahoe for a reunion, a concert, holiday or another activity? Our large selection of vacation homes fits them all. Call us today and we'll match your event to an available vacation home! We are located in Zephyr Cove, Nevada, just minutes from South Lake Tahoe. 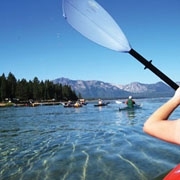 Plan your Lake Tahoe spring and summer vacation now! The snow is melting but some ski resorts will stay open until May, or beyond! It's a great time to take out the paddleboards, bikes and walking shoes. With a great private beach, this is vacation central for your Lake Tahoe trip. Call today for our specials! Make sure you're part of the fun and book your Lake Tahoe vacation home. Holidays. weekends, summer, fall, winter....all seasons in Lake Tahoe are great! Call us today at 1-800-6376! Catch the current view of the South Shore on the TahoeSouth webcams here. Want to stay on the beach right in front of the 4th of July fireworks? We are right in the middle of all the spectacular action. Walk from your door to the beach and enjoy Lake Tahoe! It's never too early to book for next year. Visiting Lake Tahoe as a group? We have the perfect solution! We have several condos for rent inside Pinewild, a highly sought after condominium complex located next to the beach. All in your group can stay close together. 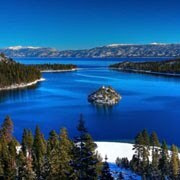 Our Lake Tahoe vacation rentals are the perfect solution to so many vacation needs. Check out our activity calendar...Stay with us and attend the Harvey's Outdoor Concerts. Stay with us and enjoy the world famous fireworks over the lake. Stay with us and enjoy Shakespeare at Sand Harbor, the Renaissance Faire, Sample the Sierra or any of the other great events during the year in Lake Tahoe. We don't have a calendar available on our homes as we like the personal touch. Fill out the contact form or call us at 800-705-6376 and we'll find you an available home. When making your reservation please note that we are in the mountains and weather isn't always perfect (though pretty darn close). No refunds will be issued unless all roads are closed due to snow or Mother Nature.